The end of the competition season for OG Dance Company - with many awards won. OG Dance Company is the ONLY co-ed team in our district and one of very few co-ed teams to compete in San Diego County. 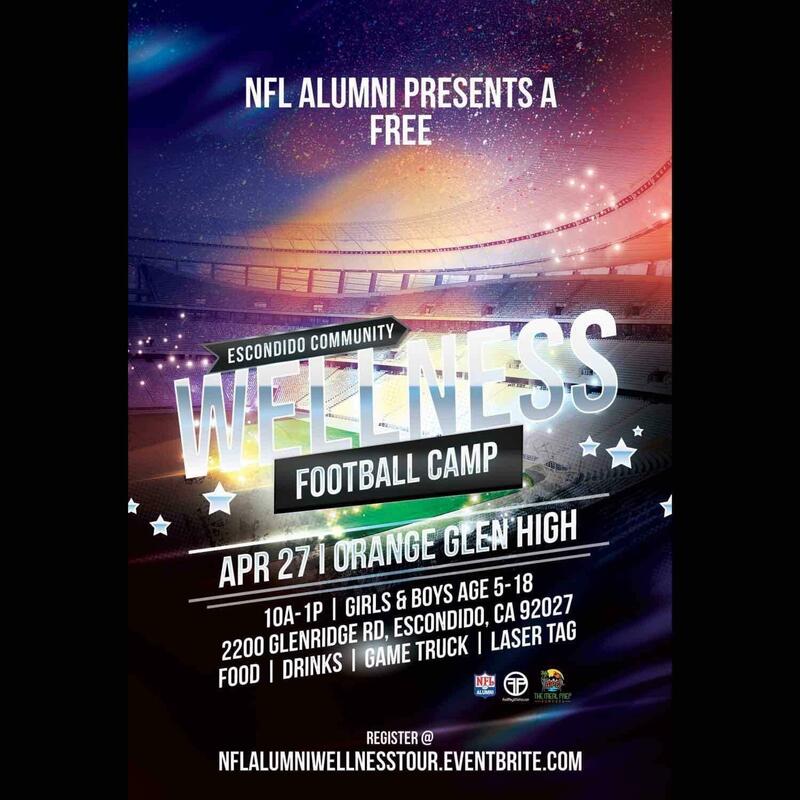 The organization NFL Leagues United is looking to align with high school programs, together with the NFL Alumni Chapter they are hosting a Escondido community Wellness Football Camp from 10am-1pm for girls and boys ages 5-18 at Orange Glen High School. There will be food, drinks, game trucks and laser tag. It is completely free but requires registration through nflalumniwellnesstour.eventbrite.com to accommodate numbers. Do you think our school start time should be later? Make your voice heard by clicking here to complete a survey regarding school start time! The deadline is 4/26/19. ¿Crees que nuestra hora de inicio de la escuela debería ser más tarde? Haga que su voz sea escuchada haciendo clic aquí para completar una encuesta sobre la hora de inicio de la escuela. La fecha límite es 26/4/19.